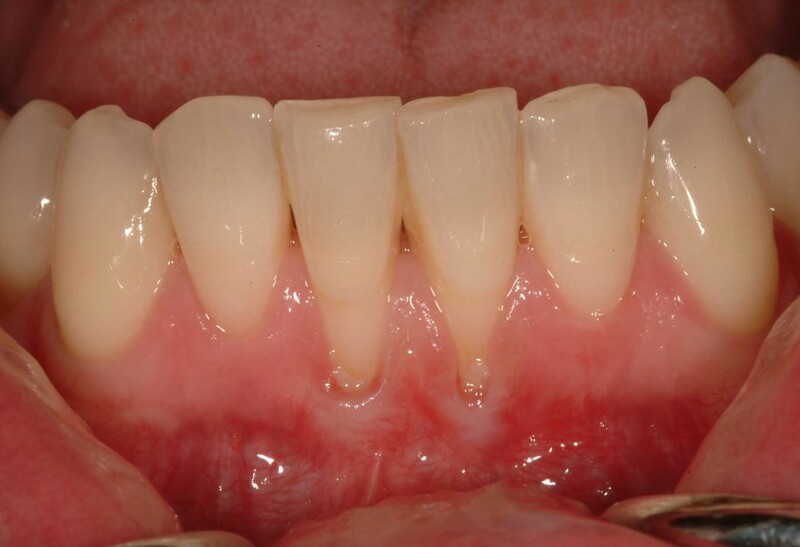 Dental Erosion and Tooth Wear – What can you do? Dental erosion, also known as tooth erosion, is the largely preventable yet irreversible damage to tooth structure due from exposure of acids through food or drink, or from sometimes chronic medical conditions that are not dental related. It has only been recently, that tooth erosion has been recognized as a dental health problem despite it being commonly present especially among children and teenagers. 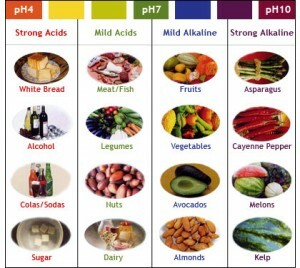 Most often, tooth erosion is caused by consumption of acidic foods and drinks – typically those which have a ph that is below 5.7. Sodas and other carbonated drinks, including those that are diet or un-caffeinated, are a frequent culprit along with fruit juices, especially those that contain citrus. With dental erosion, the damage is caused by citric and phosphoric acids. Saliva is designed to act as a buffer that regulates the impact of acidic drinks that have been consumed but some drinks have a resistance to the effect. 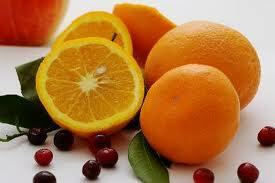 Research has concluded that fruit juices are the most resistance to saliva benefits. Some medications such as vitamin c.
Conditions such as acid reflux, heartburn, indigestion and more serious medical problems like anorexia and bulimia can also contribute to tooth erosion. Discolouration – Since the dentine of the tooth is exposed during tooth erosion, discolouration or yellowing of the teeth can occur. 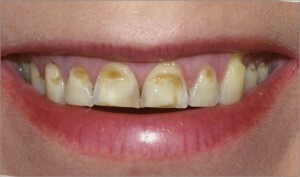 The more dentine that is exposed, the more yellow the teeth will become. Tooth Sensitivity – Sensitive teeth are very common symptoms of tooth erosion because the enamel that protects the teeth wears away, leaving exposed dentine. Rounded teeth – During the early stages of tooth erosion, it is common for teeth to have a rounded look. Transparent or sand blasted appearance – It is not uncommon in the early stages of tooth erosion for the teeth to have a sand blasted look or for the tips of the front teeth to look transparent. Cracking – If tooth erosion continues into the advanced stage, the edges of the teeth can start to crack and have a rough feeling. Dents – Little dents can start to appear on the biting areas on the teeth. Extreme sensitivity – The teeth can become extremely sensitive during the advanced stage of tooth erosion. Consult a dentist about treatment options to restore enamel. Your treatment will depend on the level of erosion and presence of cavities, and can include crowns, composite fillings or veneers. Crowns can be used to cap the teeth and restore them to their original shape. Veneers cover eroded, cracked, broken or chipped teeth and help prevent further erosion. Composite fillings can be used to repair cavities, which contribute to tooth erosion. These fillings are designed to smooth out surfaces and decrease tooth sensitivity. How can you protect tooth enamel from erosion? Good dental care can help prevent tooth enamel from erosion. 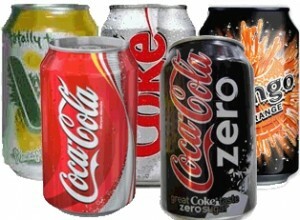 Cut down on acidic drinks and foods, such as carbonated drinks and citrus fruit juices. If you do drink them, do so at meal times to minimise their effects on the enamel. Rinse your mouth with water right after having acidic foods or drinks. Drink fizzy drinks and fruit juices with a straw which helps acids to bypass the teeth. Finish a meal with a glass of milk or a piece of cheese to neutralise acids. Chew sugar free gum with xylitol, which helps neutralise acids from foods and drinks. Drink more water during the day if you have a dry mouth or low saliva problems. Use a soft toothbrush and avoid brushing too vigorously. Wait for at least 30 minutes to brush teeth after they have been exposed to acids in foods or drinks. 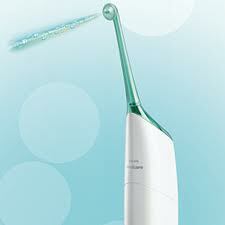 Acid leaves the enamel softened and more prone to erosion during brushing. Use fluoride toothpaste to strengthen your teeth against decay. You should have your teeth checked regularly by your dentist to prevent the need for tooth enamel restoration. When dental erosion is caught early, your dentist is able to suggest treatment that may prevent further erosion or tooth decay. Blue Court Dental Centre in Harrow offers a range of dental hygiene preventive treatments to help you keep your teeth for life. This entry was posted in Dentistry, Oral Hygiene, Share This Post and tagged dental erosion, dental wear, oral health, oral health care, prevention, tooth decay, tooth erosion, tooth wear on 25 January 2013 by Dr Nishan Dixit. Mouth Cancer Awareness Week – Have you Been Checked? This week (11th-17th November) is Mouth Cancer Awareness Week. The BBC have more information about identifying oral cancer on their website. Nearly 6,236 people are diagnosed with mouth cancer every year in the UK. Just under half (44 per cent) of all mouth cancer cases were diagnosed in people aged 65 and over, with more than a quarter (25 per cent) diagnosed in the under 55s. Although the gap has significantly diminished over time, men are still twice more likely to develop mouth cancer than women. Smoking – Still considered to be the leading cause of mouth cancer in the UK, tobacco use transforms saliva into a deadly cocktail that damages cells in the mouth and can turn them cancerous. Advice on giving up smoking is here. Chewing tobacco – Smokeless tobacco such as betel quid, gutkha and paan, is normally defined as any tobacco product that is placed in the mouth or nose and not burned. 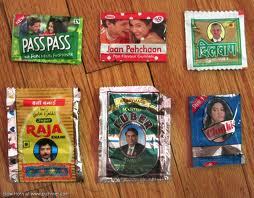 Smokeless tobacco is used particularly by south Asian communities. Other parts of Asian communities are also more at risk from the effects of smokeless tobacco including people of Bangladeshi origin. 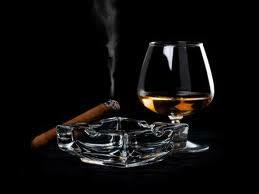 High alcohol consumption– People who smoke and drink to excess are up to 30 times more likely to develop mouth cancer, as alcohol aids the absorption of tobacco into the mouth. Drinking to excess can increase the risk of developing mouth cancer by four times. Have a weakened immune system – People who have HIV/AIDS, or who are taking medicines that suppress the immune system, are more likely to develop mouth cancer. 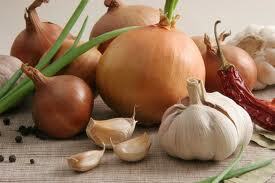 Poor diet – It is recommended that people eat a healthy, balanced diet that includes many vitamins and minerals. The earlier mouth cancer is diagnosed, the better the chances of recovery. Your dentist may spot mouth cancer in its early stages during a routine examination, so it’s important to visit your dentist regularly. 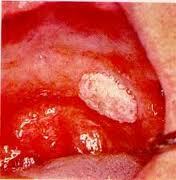 More information about Oral Cancer is Here. 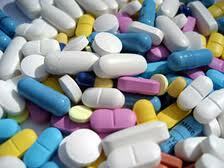 And there’s our own tips on oral cancer prevention on our own website. Blue Court Dental Care in Harrow always check for early signs of oral cancer. Please book your health check appointment today. This entry was posted in Dentistry, Dentistry in the News, Questions & Answers, Share This Post and tagged mouth cancer, mouth cancer awareness week, oral cancer, prevention on 11 November 2012 by Dr Nishan Dixit.